A stricken military aircraft blocked the runway at the German capital’s second airport after a technical issue caused it to return shortly after take-off, the Independent reported. The German air force plane is part of the government fleet: a Bombardier Global 5000 executive jet. German Defence Minister Ursula von der Leyen said that the crew managed "to get the jet on the ground under very difficult circumstances and prevent worse things,” cited by the Daily Star. The plane had been at Schoenefeld for maintenance and was flying back to its base in Cologne when it was forced to turn back. The German air force said that both wings touched the runway during landing. The flight crew was undergoing medical checks and the cause of the incident was under investigation, a spokesman said. 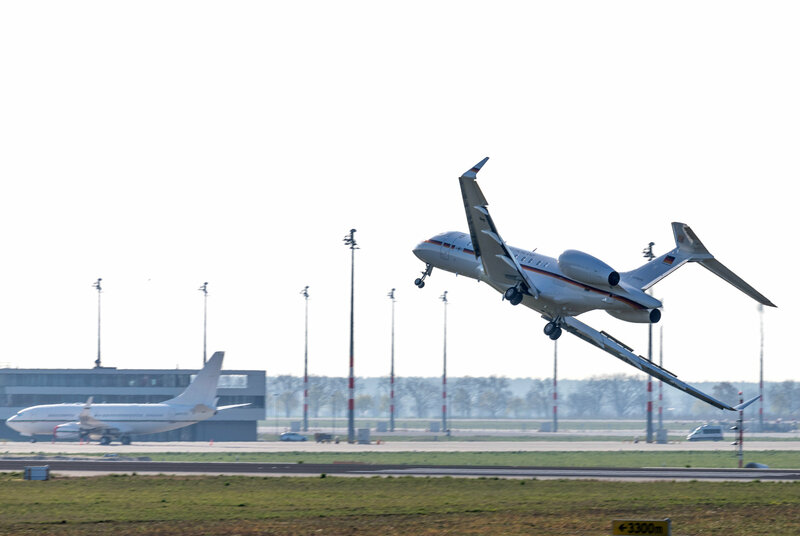 A Global 5000 jet of the government has problems landing at Schoenefeld Airport in Berlin, on April 16, 2019. Following a malfunction shortly after take-off, the aircraft turned back to Berlin-Schoenefeld Airport with major problems. The city's airport operator tweeted after the incident Tuesday morning that flights headed for Schoenefeld were being diverted because of an "inoperative aircraft on the runway" and check-in was suspended. Approaching planes were diverted to Berlin's other airport, Tegel, northwest of the city center. 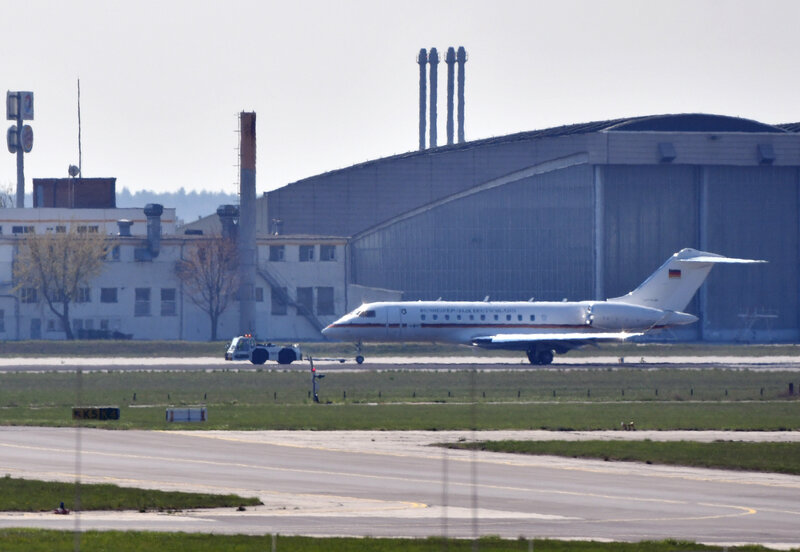 Schoenefeld is one of two Cold War-era airports that serve the German capital ahead of the long-delayed opening of a new airport, currently scheduled for October next year. It is an important hub for the two biggest budget airlines in Europe, Ryanair and easyJet, as well as Wizz Air and Norwegian.